This section of our website is about past events of of parish. 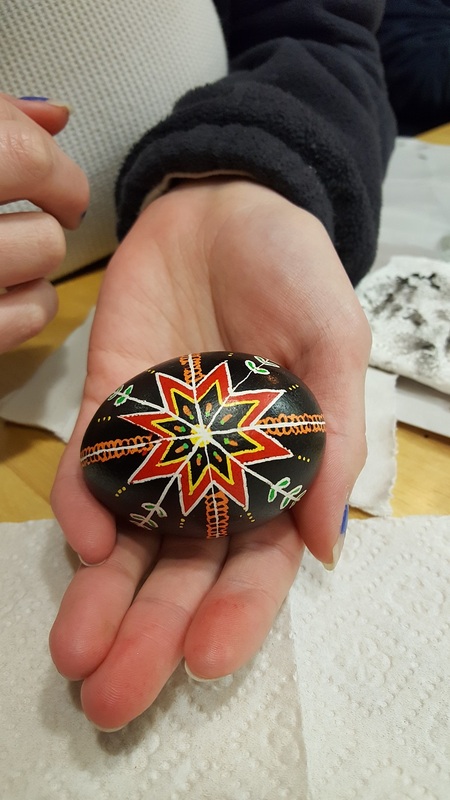 Pysanky class 2018 - EGGS (Py-san'-ky): These are highly decorated eggs with symbols and markings made with colored dyes and beeswax. Covered with extremely complicated and intricate designs, some of these eggs take a full week to complete. The word "pysanky" derives from the verb "pysat'," meaning "to write." A pysanka, then, is an egg which has been written (drawn) upon. Eggs represent the new life and Resurrection. There are some fascinating pious legends concerning the origin of these pysanky. On Wednesday evening, Archbishop Michael visited our church for a Vesper/Liturgy for the Holy Day of the Ascension of our Lord. On Sunday, November 12, 2017, our parish had an Anniversary Luncheon. 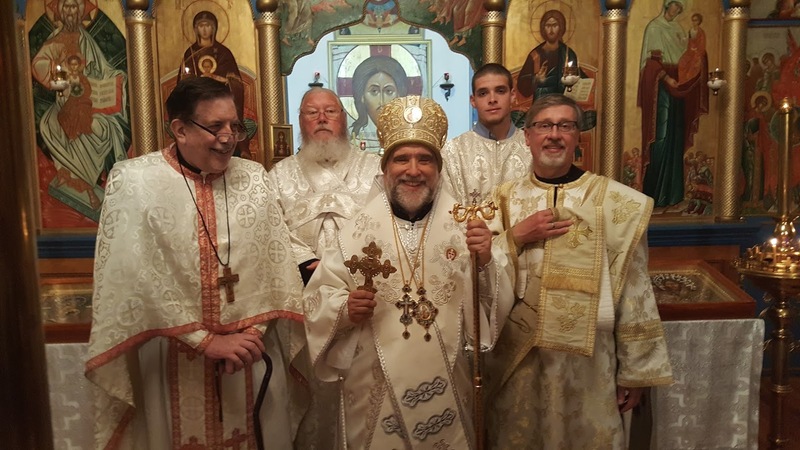 This was a celebration of the end of our 50th year as a parish. If anyone would like to share photos taken that day, please email them to us and we will start a gallery on this page. Thanks. On Sunday, December 3, 2017, the children of our parish helped decorate our Christmas tree in the community room. Pysanky class 2017 - (Ukrainian egg decorating) class. This class was held on Sunday March 5th after the coffee hour. The class was free for church members. Non-parishioners were invited as well, but were asked to pay $5.00 for supplies. Holly Dawson led the class.